We may have our first look at some of the new costumes to be featured in Dark Phoenix. When last we left our mutant heroes they were doing battle with Apocalypse in the 1980s. This time around, the younger version of the X-Men team is heading to the 90s to take a crack at one of the most beloved stories in the history of Marvel Comics. This was already loosely attempted in X-Men: The Last Stand, but fans are hoping that this second try goes at least a little bit better. While we're still impatiently awaiting the arrival of some official marketing materials for the movie, some promotional merch has surfaced online that showcases several members of the team in new costumes. The video below showcases several promotional figures for X-Men: Dark Phoenix that offer a glimpse at what we may see Beast, Jean Grey and Cyclops wearing in the movie. Promotional figures aren't always screen-accurate, so these may not be totally representative of what actually ends up on screen, but these costumes throw in a bit more color, mostly yellow, than the original Bryan Singer movies did, which featured the team in mostly all black leather. We've come a long way. A previously revealed set photo showed the team in very similar-looking suits. They appear to be inspired by the New X-Men series from 2000, which features art by Frank Quitely. For now, these figures will have to do. 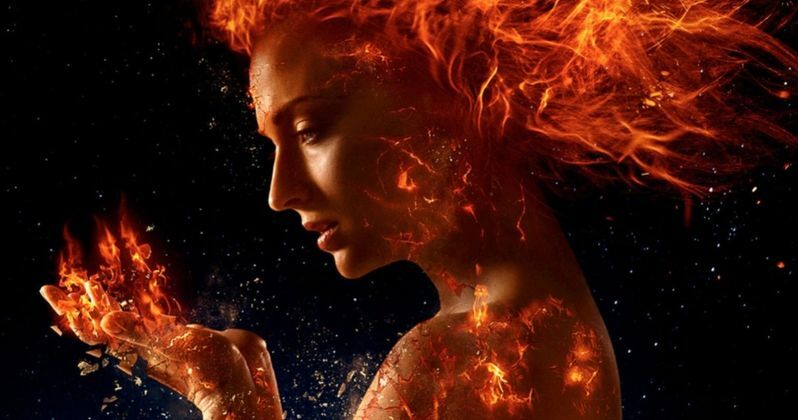 Originally, X-Men: Dark Phoenix was set to arrive in November of this year, but Fox bumped it to February 14, 2019, in order to accommodate some reshoots. As a result, we haven't seen a trailer or even an official theatrical poster. Though, a logo poster did surface online in May, courtesy of the Licensing Expo. Still, fans are eager to get a glimpse at what director Simon Kinberg cooked up. He's been a long time writer and producer of the X-Men franchise, but this is his directorial debut. Also, given that the Disney purchase of Fox is inching closer and closer to being a done deal, this very well could be the final X-Men movie before the Mouse House takes over and the characters are eventually absorbed into the Marvel Cinematic Universe. Dark Phoenix could be punctuating a run of nearly two decades. X-Men: Apocalypse largely served as a disappointment, especially as a follow-up to Days of Future Past. That puts a decent amount of pressure on Simon Kinberg, especially if this really is the last X-Men movie from Fox. If we're lucky, the trailer for X-Men: Dark Phoenix will drop during San Diego Comic-Con next month, but the studio hasn't yet announced plans for a panel to show off their upcoming superhero movies. In any case, it should be arriving in the near future. Be sure to check out the newly revealed costumes, courtesy of the vasos de cine cinepolis y cinemex YouTube channel, for yourself below.